DePasquale The Spa: relax, rejuvenate and refresh. Photo courtesy of DePasquale the Spa. DePasquale The Spa pampers and polishes clients with anything they need – waxing, hair care, makeup and spa or bridal services. And it’s not just a good idea for your mom or sister; DePasquale even provides services to men and kids. Co-owner Justin DePasquale is proud to offer so many self-care services to a wide range of clients. “Today, the most precious and valuable thing to offer is time. Everyone is very busy and their time is very precious,” DePasquale said. DePasquale The Spa is open until 10 p.m. on weekdays and provides one-stop beauty shopping for their 2,000 guests every week. The Spa opened in 1995. The vision was to create an experience like no other, offering the highest standards in beauty for a premium price. DePasquale The Spa set out to give their clients the most relaxing, magical experience. Today, something like serving cappuccino at a spa is not unusual; however, 30 years ago DePasquale was the first to implement indulgences like this to add to the overall experience. DePasquale provides facials, massage therapies, nail services and therapeutic treatments. Their most popular service recently has been hair painting and balayage. DePasquale employs artists that specialize in hair painting, a visual free-hand type of highlighting and accents that give a hair a fresh dimension. DePasquale Bridal offers on location and in salon bridal services as well as parties and packages. DePasquale’s bridal concierge helps brides in choosing the best package, hair and makeup services for their special day. DePasquale is the official salon of the 2016 Miss New Jersey Teen USA. “Working at DePasquale has given me the opportunity to engage with clients in an intimate way, helping them feel confident and beautiful. Attending continuous education to keep current and up-to-date with trends and the latest in beauty and wellness enables me to enhance my level of service to them,” said stylist Lana Esposito. “From the very first day I started working here, I knew I loved DePasquale The Spa because of how much they value their clients and staff. That is something that’s not always easy to find,” added Masseuse Linda Miguel. 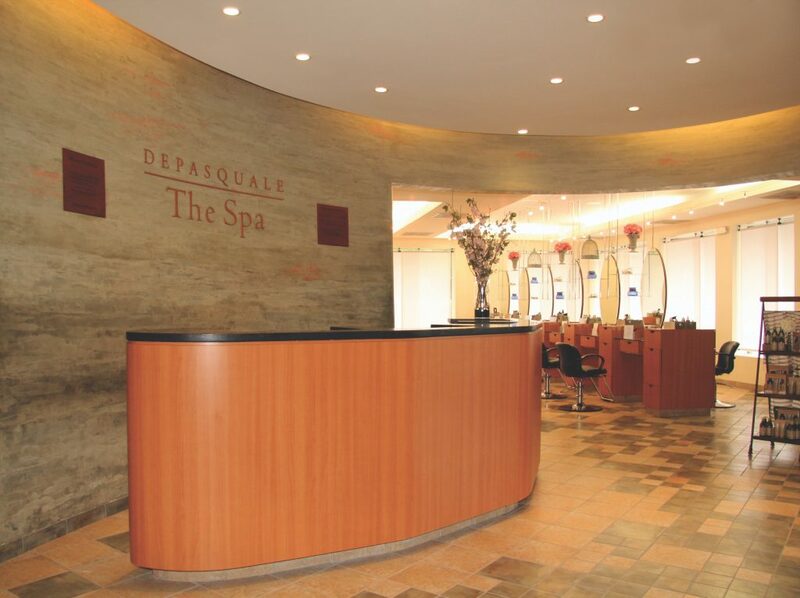 Follow DePasquale The Spa on Twitter or Facebook at @DePasqualeSpa. Call to reserve a stylist or Bridal services at 973-538-3811 or visit the website at https://www.depasqualethespa.com/index.php. One Response to "DePasquale The Spa Rolls Out the Royal Treatment"